Hi Everyone! Today is challenge day over at SVG Cutting Files! This months challenge is to create anything for a female relative. 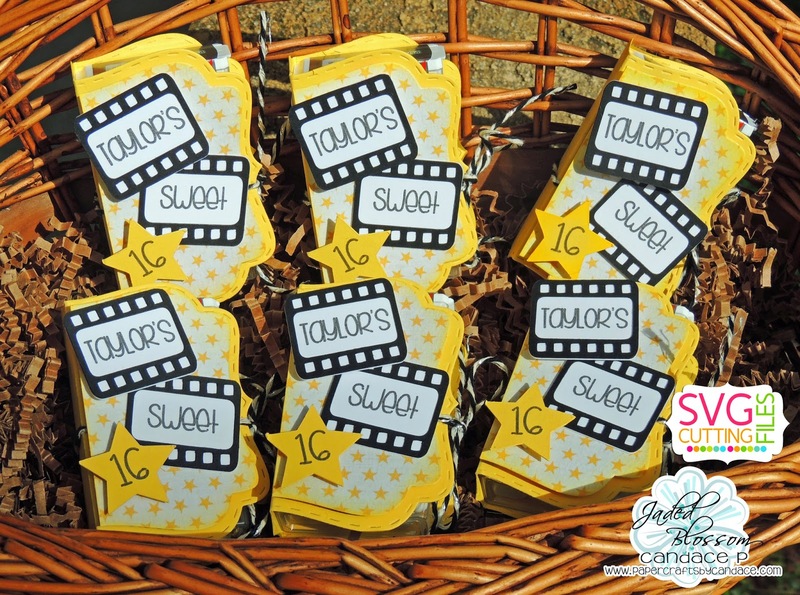 I made these favors for my niece's 16th birthday party. 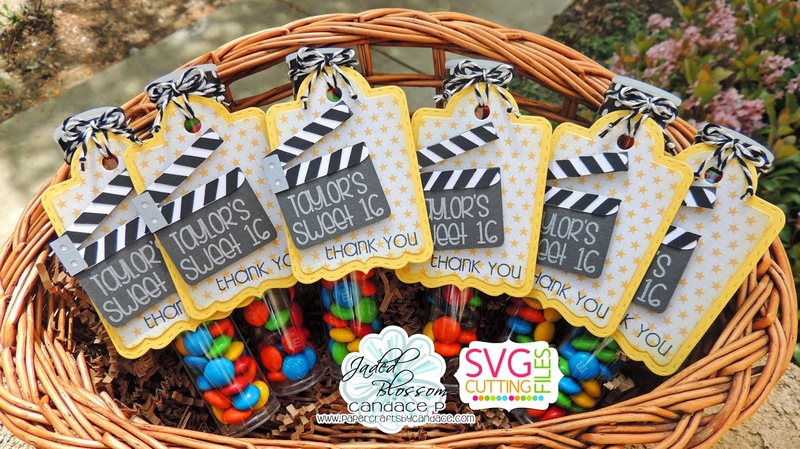 I used SVG Cutting Files Movie Night File to help create these. 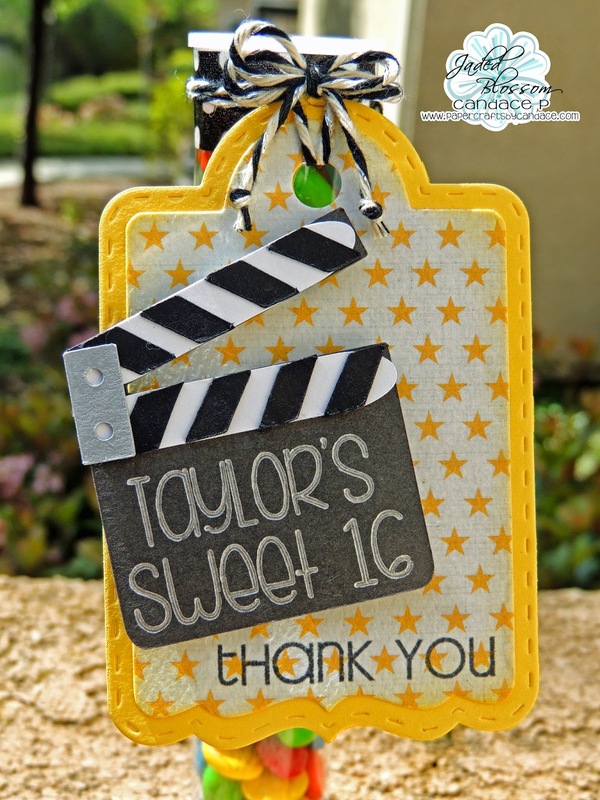 I also used my Silhouete Sketch Pens to write Taylors Sweet 16. I used Jaded Blossom's Fancy Topper Die to create these tic tac treats. Check out the tutorial here.. 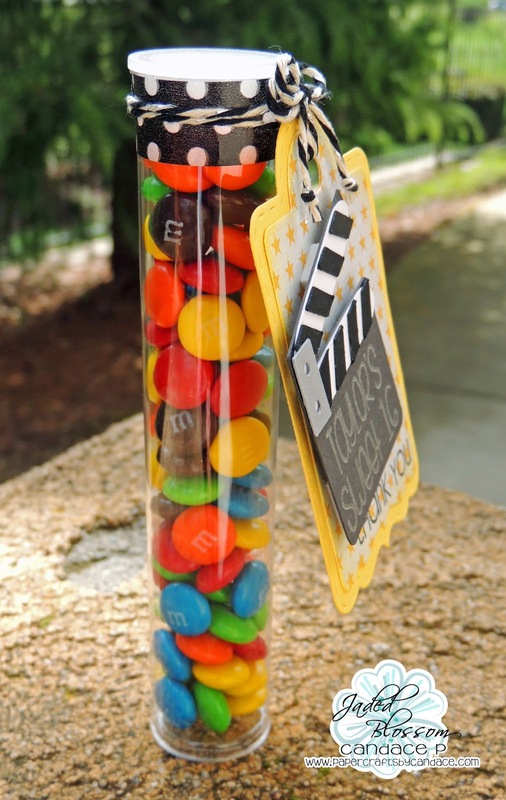 I also made these matching M&M tube treats. The tubes and Treat Tag Die are also from Jaded Blossom. Here is a side view of the M&Ms. TONS fit in these tubes! Super cool and the kids will LOVE them! I am in LOVE with these!!!! I love the style, colors everything!!!! Just perfect!!! Im a sucker for stars lol. Love these, so cute. I'm sure the Birthday Girl Loved these. 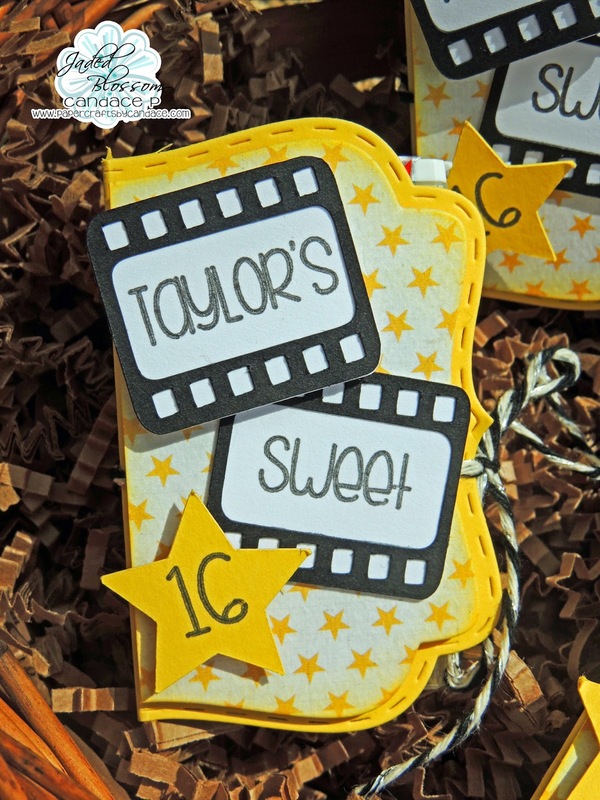 These are so cute Candace.. Love how the fancy topper die can be used in multiple ways. 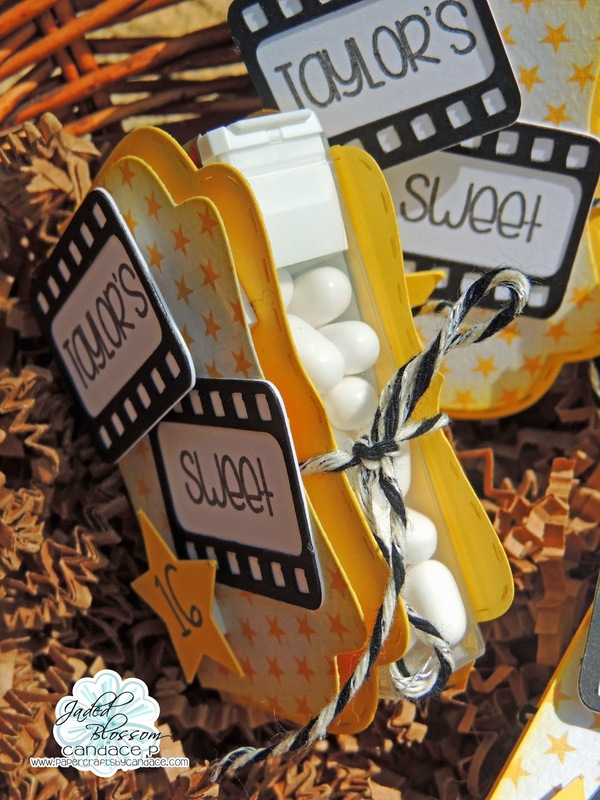 I love the tic tac holders you've made, very clever and I'm sure going to have a go at doing some soon too. Where did you get the tubes from?